Ringraziamo Alberto Gennarini, Managing Partner di Vitale&Co (IMAP Italy) per la gentile autorizzazione a pubblicare questa sua interessante intervista che ha rilasciato alla rivista „Creating Value“ sui trends nel Food & Beverage correlati alle operazioni di M&A. Alberto Gennarini, Managing Partner at Vitale&Co (IMAP Italy), discusses his thoughts on the current trends dominating the Food & Beverage sector and explains what’s driving M&A and foreign interest in Italian companies. “The Food & Beverage sector is unquestionably one of the pillars of the Italian economy. How did it fare in comparison to other sectors in the years following the 2008 slowdown? proved its resilience, suffering less than the other sectors. In fact, from 2008 to 2012 the market was absolutely favorable to buyers and we saw a large number of successful acquisitions by Italian groups. How has the sector performed in the past couple of years? During the last 2 years the market has completely recovered. With high valuations and liquidity, as well as the low cost of bank debt, we are currently seeing extraordinary momentum for sellers. Authentic ‘Made in Italy’ brands are being threatened by ‘Italian-sounding’ labels. How big of a threat is this? Are you concerned? The ‘Italian sounding’ phenomenon is worth over €50 billion a year, whereas the yearly value of Italian exports in the F&B industry is approximately €20 billion. This means that nearly two thirds of “Italian” F&B products sold worldwide are in fact not truly Italian, thus contributing to the “Italian sounding” problem. However, Italy is fighting back in an attempt to combat this issue and globalization, as well as the digital economy, look set to the world are becoming much more aware of exactly what they are eating and in this sense I see a big opportunity to tilt the market back in favor of authentic Italian products. 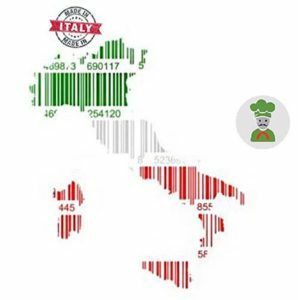 In the past, it was more difficult to educate consumers on the real essence of the Italian lifestyle and food, which is essentially at its core, but the digital economy has changed this, providing a means of communicating directly with consumers. On one side, consumers are able to use the internet to purchase directly from companies and on the other, companies are able to share offers and promote their products, company and values to a much wider audience. Social media and networks have provided an easy and fast means for Italian companies to explain the Italian lifestyle – a YouTube video on Italian food or wine for example. In terms of the global F&B market, how do the Italian companies and brands fit it? How have they reacted to the healthy/organic/natural/sustainable trend? Italian brands align perfectly with the worldwide trends we are seeing in the sector. Firstly, we have a strong tradition of healthy eating; healthy, free-from, rich-in and organic have been embedded in Italian heritage for centuries, so in this respect we are actually way ahead of the current consumer trends. Secondly, due to the strong product development capacity we have in Italy, food companies are able to adapt extremely well to new consumer demands. The most relevant trends that I see for the future are related to the ready-meal sub segment. There is a demand for products with a higher level of quality and service and as people continue to spend a lot more time outside of the home, there is an opportunity for food retail and delivery companies. What impact have new technologies such as ecommerce and digital marketing had on the F&B sector? Foodtech has created a real disruption in the delivery business; creating popular market places and websites dedicated to the delivery of km0 food, ready-made foods and wine, etc. which are very different ways of purchasing goods to buying them at a supermarket. In response to a change in consumer demand, lots of foodtech start-ups are growing their organic food delivery business; looking to provide consumers an offering that is not available in the supermarkets. There is now a higher demand from users for less mainstream products and more fresh products such as eggs, cheese and milk, as well as organic, healthy options. Businesses are required to skill-up and find means of offering consumers products such as organic wines or fresh egg delivery once a week to their home. Foodtech has increased and improved the level of service, delivery and e-commerce that a producer provides to consumers. What about in Asia/emerging world? Does the rise of the middle class and consumer demand impact traditional Italian F&B? The Asian world is increasingly adapting to the Italian lifestyle. Other than an increase in exports, we don’t expect that this will impact our industry. Specifically in terms of M&A, although there is some interest from Chinese and Japanese companies looking at Italian firms, we dont’t see a great deal of transactions from Asia, but that is due to the difficulty in closing a deal. In terms of M&A in the sector, what’s happening at a global level? The market is currently looking very positive. We are seeing more transactions from European, well-established and mature companies, especially in Germany and the UK. There is lots of liquidity and equity, which is causing a positive momentum. Over the last few years we have seen a relocation of capital from emerging markets, with companies relocating assets from emerging markets and Latin America, to Europe and the US. Looking more specifically at M&A activity in Italy, is there a rise in foreign demand/incoming offers for Italian companies? We are experiencing an increase in interest from foreign groups versus Italian companies. Indeed, I would say that last year, almost 50% of M&A deals involved a European player acquiring an Italian asset. There are many reasons why Italian companies are so attractive. Leaders in niche sub-segments of the F&B industry, many small/medium capped firms are privately owned by families and the market is really quite segmented. Therefore, we are seeing an ongoing consolidation process and lots of companies looking to acquire. By acquiring an Italian company, a firm achieves not only a distribution channel in Italy, but just as importantly, crucial product know-how – it’s logical that a firm looking to enter the pasta market would look at acquiring an Italian company. What about Italian companies, how active are they abroad? Though there is a rise in the number of Italian companies acquiring foreign companies, they are generally much less aggressive in their acquisition strategies abroad. In Italy, M&A is an important driver for the enlargement of a company’s product portfolio, but at the same time, it carries the same weight as internal R&D. This can be partially explained by the characteristics of the Italian market and the fact that many Italian companies are still owned by families and tend to be grown organically as opposed to through M&A. In Italy there is some changeover in the F&B industry with companies looking to acquire in Europe and the US for distribution purposes, as opposed to acquiring products. It can be tough for example, for Italian firms to enter the UK market, whose retailers are very well organized in terms of distributors. Therefore, by acquiring a small UK company with distribution channels already in place with a major retailer such as Tesco, an Italian company is able to penetrate the UK market. Many however, still prefer to take the organic approach. Take Rana (fresh pasta) and Beretta (cured meat) in the US market for example, who significantly and indeed successfully, invested from scratch in green field manufacturing plants in the US. Several of the transactions you were involved in last year had a Private Equity group as either buyer or seller. What is driving/motivating PE activity in this sector and has the role of PE in the sector changed at all across recent years? The segment is anticyclical, resilient and sometimes with high entry barriers, which is down to know-how and technology. In addition, the F&B segment in Italy is highly fragmented, which means that PEs can contribute to the consolidation of the industry by creating platforms with a buy and build strategy. The role of PEs in certain sub segments has accelerated the consolidation process (i.e. industrial ice-cream), but we do still have some headroom and see opportunities for internationalization, which will contribute to growth outside Italy for exports to Europe and the US. There is huge demand for Italian products in the US, but companies don’t have the infrastructure to supply the market. Among the many deals you were involved in last year, is there one that stands out? Royal Unibrew, a listed group based in Denmark and leading provider of beers and soft drink, acquired the soft drinks business from Campari (Lemonsoda and Oransoda). This was an important crossborder deal and we were directly contacted by Royal Unibrew on referral as we are well-known in the F&B sector. We have a unique knowledge of the market, as well as a strong relationship with key players, including Campari, who we have previously worked with – all of which was key in ensuring that Royal Unibrew won the deal. Congratulations, Mergermarket recognized you as the 2017 Top Dealmaker in Italy. Besides years of experience, what is your strategy? Other than industry specialization which is obviously key, my strategy is to invest time with the entrepreneurs and to be patient. I have built up solid, strong relationships with entrepreneurs over the last 25 years and though I have not done a deal with some of them yet, I continue to invest my time as I’m sure that sooner or later, it will happen. In fact, this would be my recommendation for all IMAP dealmakers, to stay close to the entrepreneurs. How many people do you have on your team and how many simultaneous transactions do you have open at any given time? Vitale&Co (IMAP Italy) has a large team of 40 experienced professionals. I have a dedicated senior team of two that focuses solely on F&B. We have the capacity to manage more than 10 deals simultaneously. What are your expectations in terms of performance in 2018 and how the year will unfold? Did it get off to a good start? 2018 started well, better than in 2017 in fact. There is an excellent pipeline and we expect good performance overall this year. The market is bullish; with high valuations and lots of liquidity and more importantly, lots of appetite. Over the past few years, PE fundraising has gone well and firms are looking to invest, now. Furthermore, the Italian economy has also recovered, so companies are doing well. Understanding the need for capital for growth, many entrepreneurs are now opening their capital structure to investors, either considering selling their companies or looking for partners/capital injections to stimulate growth.